Lagos, on the 4th of December, 2011, will enjoy the best of Mexico fused with the swag of Lagos parties. beach party of the year. 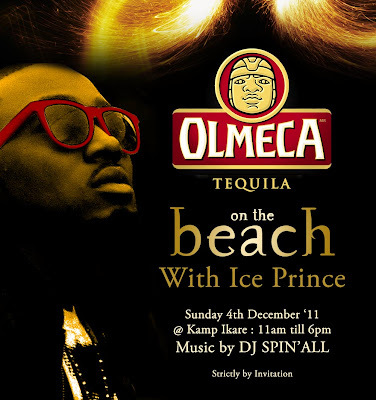 Olmeca Tequila presents ‘Olmeca on the Beach’ with award-winning Ice Prince and his Choc City crew! artistes, guests will discover and enjoy various cocktails that Olmeca Tequila has to offer. cocktails such as the Tequila Sunrise and different types of Margaritas. YUNG6IX NOW SIGNED OFFICIALLY SIGNS 411/STORM . 7th Annual Nigerian Youth Leadership Awards.